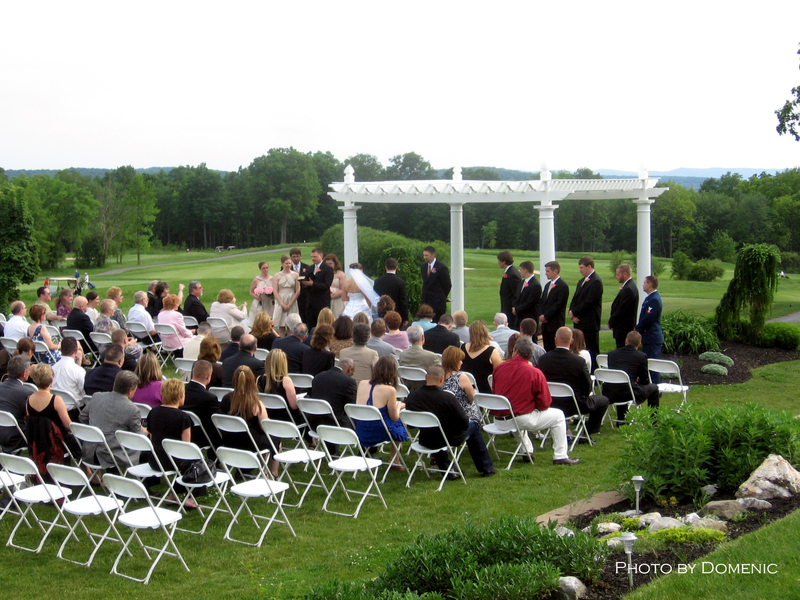 Becky and Justin had a destination wedding here in The Hudson Valley at The Links at Union Vale. Living in Ohio, Becky and Justin had to do alot of detail work through e-mail and phone calls, but all of it came together in a perfect wedding day! The spring weather was perfect for an outdoor ceremony. Becky walked down the isle to the intro to “Love Song” by Tesla, perfect song for them! After the ceremony Becky and Justin enjoyed the company of their family and friends. The couple was introduced to ZZ Top’s “Sharp Dressed Man” and danced for the first time as husband and wife to Van Morrison’s “Someone Like You”. The rest of the night was filled with alot of laughter and emotion with a couple heartfelt toasts and dancing to old time classic rock and 80’s rock songs. Becky and Justin were an awesome, easy going couple to work for. Thank you for letting me be a part of your special day!